Manchester United goalkeeper, David De Gea, prefers to stay at the club than join Juventus or Paris Saint-Germain. ESPN reports that the Spaniard is edging closer to commit his long-term future to United. The Red Devils staved off the prospect of the 28-year-old leaving on a free transfer next summer, by securing De Gea's services until June 2020, by triggering a one-year option to extend his contract last month. But the club remain determined to negotiate a new long-term deal with De Gea. United know of interest from Juventus and PSG in De Gea, who arrived at Old Trafford in an £18.3 million move from Atletico Madrid in the summer of 2011. 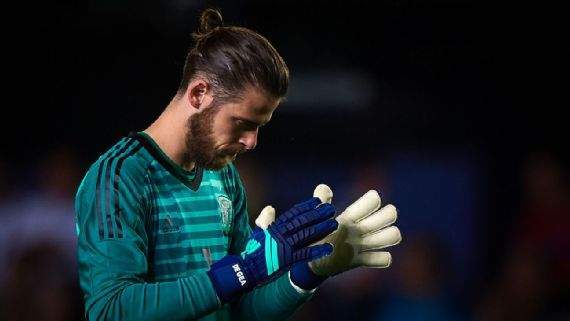 But even before the dismissal of manager Jose Mourinho on Tuesday, the United hierarchy had become aware of De Gea's readiness to consider a new deal worth in the region of £350,000 a week to stay at the club.